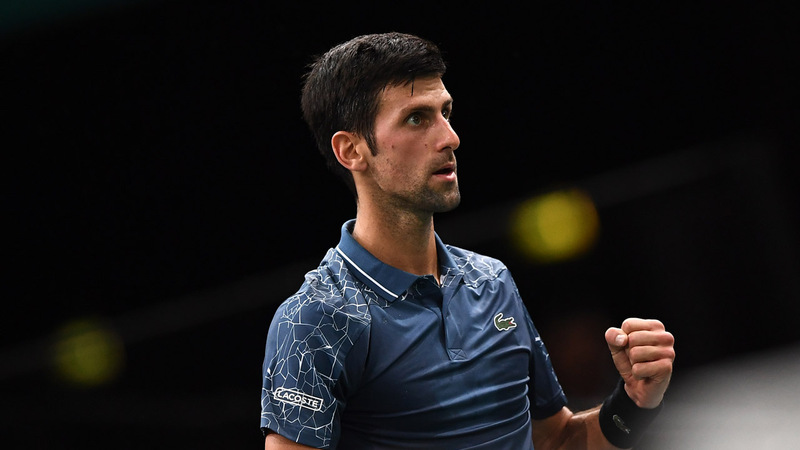 Djokovic can regain top spot from Rafael Nadal this week if he betters the Spaniard’s performance in the French capital, where the Serb is a four-time winner of the indoor tournament. Djokovic had never dropped a set in five previous meetings with Portugal’s Sousa, but he surrendered a 4-1 lead in the opener and appeared under the weather before regrouping to break Sousa at 6-5. The 14-time Grand Slam champion then reeled off five games in a row to end Sousa’s resistance and book a meeting with Damir Dzumhur of Bosnia in the last 16. Dzumhur defeated rising Greek star and 14th seed Stefanos Tsitsipas 6-3, 6-3. Federer will play Canada’s Milos Raonic on Wednesday after receiving a bye in the first round. Federer’s only tournament victory in Bercy came in 2011. On his last appearance in 2015 he was knocked out by American John Isner in the round of 16. The Swiss star missed the event the past two years due to a combination of injury and selective scheduling. He has also sat out the last three French Opens. It is the first non-Grand Slam event to feature Federer, Rafael Nadal and Novak Djokovic since last year’s Indian Wells Masters. “I feel like it’s better for me to play matches rather than practice, and I think that’s it. As long as I don’t feel like I’m taking a chance on my health prior to London (the ATP Tour Finals), that’s the key as well,” Federer said. “I’m happy to play tomorrow. I feel like I recovered well from last week. So yeah, I’ll give it a go tomorrow. I’m excited,” he added, after winning the Swiss indoor championships in Basel on Sunday. Raonic fired 23 aces as he outlasted France’s Jo-Wilfried Tsonga 6-7 (4/7), 7-6 (7/5), 7-6 (7/5) in his opening match. Federer also revealed he had received an invite to take part in an exhibition featuring Nadal and Djokovic in Saudi Arabia in December, but the 37-year-old said he turned down the approach. “I didn’t want to play there at that time. So, for me, it was a very quick decision,” said Federer. Nadal and Djokovic are scheduled to meet in Jeddah on December 22, but they have faced growing calls to withdraw following the murder of a Saudi journalist in the country’s consulate in Istanbul. 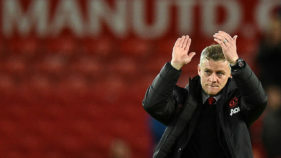 Both players this week have said they are assessing the situation and have yet to make a final decision over their participation. 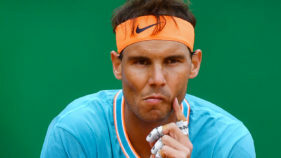 Nadal, who has never won the Paris Masters, begins his campaign in the French capital against fellow Spaniard Fernando Verdasco, a 6-4, 6-4 winner over France’s Jeremy Chardy. Fifth seed Marin Cilic cruised into the third round with a 6-3, 6-4 victory over German veteran Philipp Kohlschreiber. Gilles Simon was the only one of six Frenchmen to advance on Tuesday, defeating compatriot Lucas Pouille 6-3, 6-4, with Pierre-Hugues Herbert and qualifier Benoit Paire losing to Mikhail Kukushkin and Marton Fucsovics respectively.